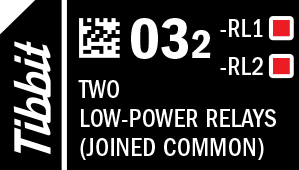 Function: Two mechanical low-power relays with joined middle (common) terminals. Relay 1 has normally closed and normally opened terminals. Relay 2 only has the normally opened terminal exposed.